Woah, by the looks of it the new place for a large weapon is there in the middle- *quickly checks out the new Gust's standard variant in-game* ..Indeed it is. I always did wonder why Gust was more of a glorified smaller destroyer visual size-wise but I was fine with it as the ship ended up being one of my favorites from the mod. The new Gust looks and feels like a welcome change as it offers the option of changing the large main weapon now too and the ship system is an interesting one, must be cautious where to park the main ship though. 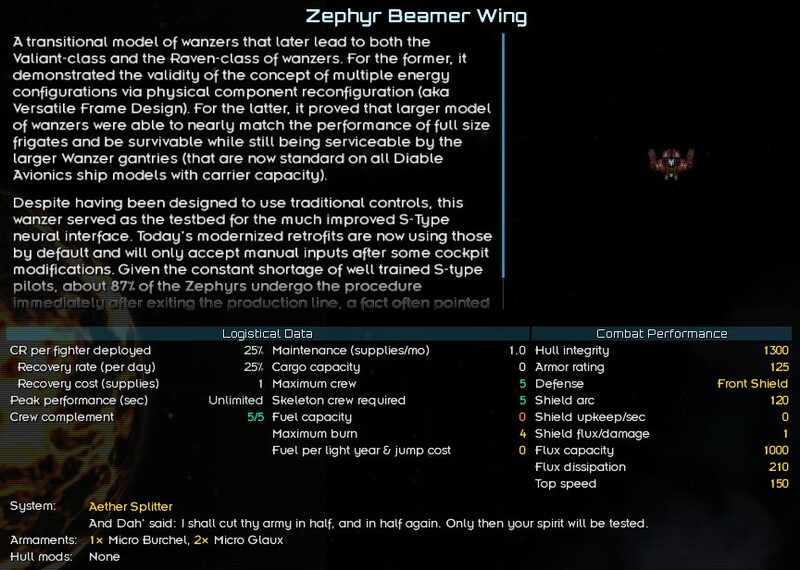 This mod sure gives me those vibes from Homeworld 1 and especially from Homeworld 2 as that's where that angular flat both horizontal and vertical ship designs entered into the franchise with full throttle and it is the reason why I find the new Gust even more likeable. Nice. I have been waiting for Pilotable Mech System you mentioned waaay back. Thanks for the hard work. Aye, I agree. Not sure how the heck I managed to overlooked this comment the first time but that aside after a re-read I noticed it and it's exactly what I was thinking of too except in the back of my mind somewhere. Anyhow after some more fun with the new Gust I've noticed myself being less accurate with only Macros cannon due to slow speed and small thin size of its projectiles. Rerouting Grave HMC to the first weapon group with Macros cannon and setting the two guns on an alternating fire mode makes me both more accurate and increases the main damage potential I can deal now. Auto-attack of AI can't seem to make up it's mind where to aim Grave HMC and I have ended up losing shots from it too many times while only shots from manually aimed Macros hit my foes the most. Once again I left the auto-attack for PD and missiles. I do tend to kite, slide and glide about as much as I can, no wonder the AI's auto-attack can't keep up with me. And.. uhm, you all probably thinking how the heck can weapons on auto-attack miss shots fired from a cruiser. That's because I have three custom robust hullmods to make it turn faster, fly faster and fly faster outside the combat. That's why I haven't made a cloned super version of the ship as extra speed seems to be enough to survive longer. Looks like some kind of heavy destroyer, or battledestroyer. Still no side cannon, not cool. It was gust defining feature. Maybe make it modular even, if you feel tpc was op. Personally I found the Heavy TPC dull to use. A modular heavy mount might be fine, albeit probably not on a destroyer carrier. Stuff and bugfixes, the old Gust makes a come back as the Pocket Gust destroyer, without the built-in weapon but with its big brother's system.
. One fight deck, one medium turret, a few small ones and a built-in Micro-Missile Cluster.
. OP cost raised to 14 from 10.
. OP raised to 12 from 11. 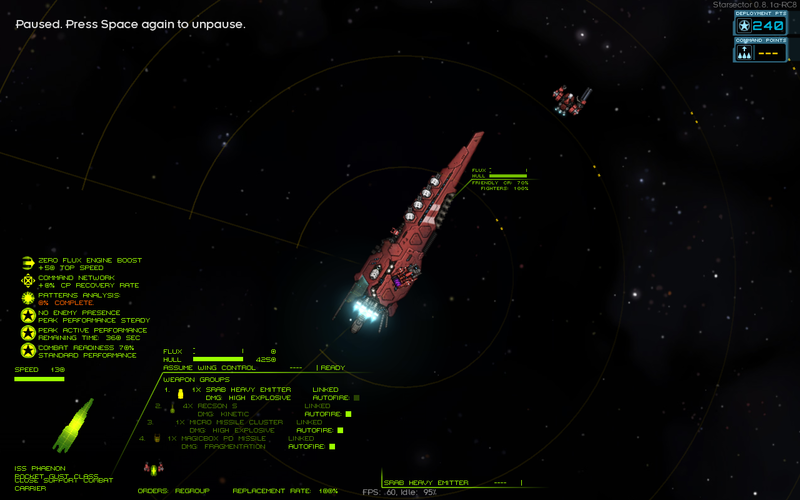 - Shuffled Nexerelin's starting ships. Nice. I kind of miss the side mounted cannon and kind of don't as I found the new bigger Gust a bit more fun or as fun to use despite it being slower and bigger. That aside it's still splendid that the smaller old Gust has a place again in the mod instead of only collecting proverbial dust in a folder of unused ship sprites somewhere. I have one simple thing to say. Controling a fighter is stupidly fun! Last update of this mod, according to the title was... 1 year ago? Crazy! Featuring a brand new Wanzer wing, the Zephyr-class beamer wanzer. A predecessor of the Raven and the Valiant, it can somewhat fill both their roles for a cheaper price. Additionally, the Calm-class destroyer received a pretty extensive rework, with a new system and built-in drone wings plus some stat buffs. Then there is the usual minor tweaks and bugfixes. This update should NOT break your save, but it could cause some weirdness with the existing Calms.
. Flux dissipation raise to 325 from 275.
. Now equiped with Magicbox PD Missiles instead of Micro-missiles.
. Now benefits from Wanzer's gantry fast repairs. Bro the Zephyr is so cool! Can't wait to try it out, gonna give it a go today. Thanks for all the hard work!